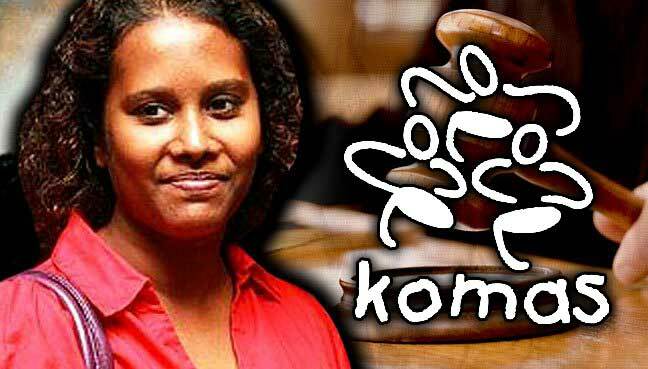 Pusat Komas says the activist should not have been charged in the first place, but protected and recognised for her work on human rights. PETALING JAYA: A human rights group today voiced hope that the public prosecutor’s agreement to withdraw its appeal to the conviction of Lena Hendry would signal an end to the “harassment and intimidation” against the activist. Insisting that Lena should never have been charged in the first place, Pusat Komas said she had been subjected to a long process of being arrested, detained, charged and convicted under Section 6 (1)(b) of the Film Censorship Act. This was after the activist aired an uncensored documentary on the Sri Lankan civil war at the Kuala Lumpur and Selangor Chinese Chamber of Commerce Hall in 2013. She was fined RM10,000 on March 22 after the Magistrate’s Court found her guilty of the offence. She paid the fine and was initially freed from the film censorship charge at the end of the prosecution’s case last March. However, the High Court overturned the acquittal and ordered Lena to enter defence for her charge. She withdrew her appeal to her conviction today, saying the prosecution against her under censorship laws was done in bad faith and that she had lost confidence in the judiciary. Her lawyer New Sin Yew told the judge that they would withdraw their appeal on condition that the deputy public prosecutor also withdrew their appeal against the fine. Deputy public prosecutor Zalina Awang told the court the Attorney-General’s Chambers had agreed to withdraw its appeal after examining Lena’s case. Maintaining that Lena had been unjustly targeted and persecuted for carrying out human rights work, Pusat Komas said she should instead be given protection and recognition for her efforts. “Human rights defenders and government critics in Malaysia continue to be at risk of arrest, detention and judicial harassment for speaking out. “We would like to strongly remind the authorities and their relevant agencies that free speech and expression is a fundamental human right enshrined in the Malaysian Constitution under Article 10 and in international law. “Moreover, the Malaysian government must also be reminded that it voted for the recognition and protection of human rights defenders in a United Nations general assembly in November 2015. It is our hope that the Malaysian government will fulfil promises made in the international arena,” it said. It also called for an end to the harassment of government critics and human rights defenders, and for measures to be taken to ensure their protection against any violence, threats or retaliation in relation to their work.